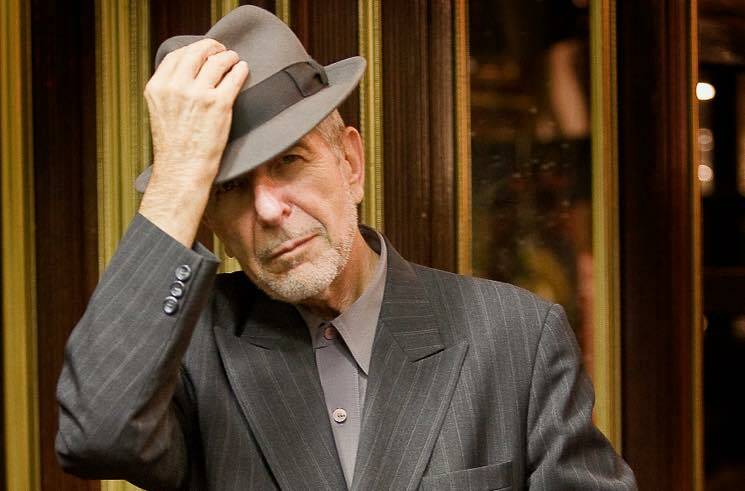 Leonard Cohen fans will be treated to another parting gift from the fallen Canadian hero, as his final book is set for release next fall. Finished just days before his death last November, Cohen's final book of poetry, titled The Flame, is due out on October 16, 2018, via McClelland & Stewart in Canada, Farrar, Straus and Giroux in the U.S., and Canongate Books in the UK. The tome is described as "a stunning collection of Cohen's last poems, selected and ordered by the author in the final months of his life." During the final months of his life, Leonard had a singular focus — completing this book taken largely from his unpublished poems and selections from his notebooks. The flame and how our culture threatened its extinction was a central concern. Though in declining health, Leonard died unexpectedly. Those of us who had the rare privilege of spending time with him during this period recognized that the flame burned bright within him to the very end. This book, finished only days before his death, reveals to all the intensity of his inner fire. Along with Cohen's poetry, the book will contain extensive selections from his notebooks, promising to offer "an unprecedentedly intimate look inside the life and mind of a unique artist and thinker," according to a press release. In addition, The Flame will feature the full lyrics Cohen's last three albums before his death — Old Ideas (2012), Popular Problems (2014) and You Want It Darker (2016) — as well as his lyrics to the Blue Alert album done by collaborator Anjani. On top of all that, the book will include prose pieces and illustrations by Cohen. As of yet, the cover to the book has yet to be revealed.